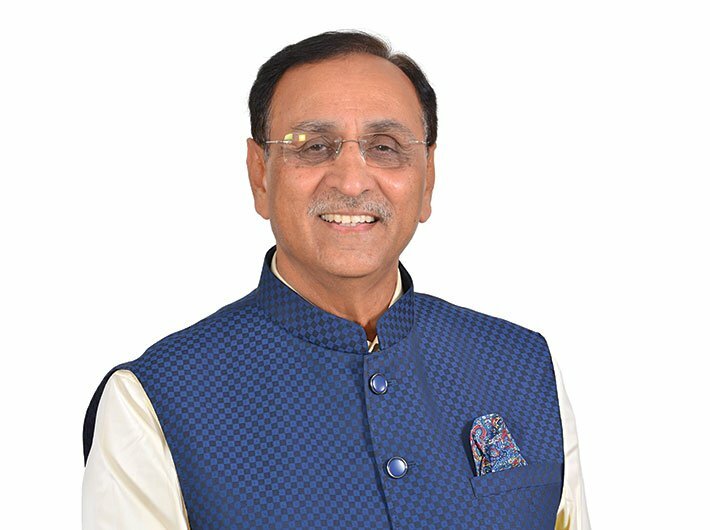 Speaking to Governance Now, Gujarat chief minister Vijay Rupani elaborates on the Sujalam Sufalam scheme to rejuvenate talavdis and desilt reservoirs and lakes. He also speaks on water, politics, and conservation. What makes the Sujalam Sufalam initiative unique? Gujarat has undertaken Jal Abhiyan on a large scale: more than 13,000 ponds and lakes have been deepened, many checkdams have been desilted, and 5,500 km of the canal network has been cleaned. The Kharicut canal (which runs through eastern Ahmedabad and had become a dump for garbage and effluents) has been cleaned for the first time. Talavdis (or ponds) have been created in farms, forests and other places. As many as 32 rivers have been rejuvenated, and leakages in 32,000 valves in pipelines have been repaired. A desalination plant has been sanctioned in Jodia village near Jamnagar, for which the tender has been finalised. It will process 10 crore litres of sea water daily, working under the PPP model: technology and finance will be provided by private parties. A local purchase agreement has been signed: desalinated water will be bought at 5.7 paise per litre from the plant and given to locals for drinking. We also plan to recycle and reuse water from drains, which will be processed and supplied to industries, construction companies, power plants instead of the Narmada water they are given in small quantities now. We recently launched a policy for reuse of treated water under the Jal Abhiyan. At present, 55 municipalities have sewage treatment plants (STPs). Tenders for another 55 will be finalised by June 10. So 110 municipalities will soon have working STPs. Mahanagars already have STPs. The treated water from these STPs will be sold, generating revenue for the local self-government body. If nobody is willing to buy it, it will be used to irrigate nearby farmlands and for filling ponds. This will raise the water table. What was the trigger for launching this huge abhiyan? First, people have been enthusiastic about ending the state’s water problems. Gujarat ko paanidaar banana hai. Second, we want to turn drinking water shortages into a thing of the past. The initiative was begun and carried out in this spirit; it wasn’t prompted by any emergency. Earlier, government departments used to do some pre-monsoon activities. This time, the government has made this a campaign. From the chief minister down, the entire government machinery is involved. Because of this, people and NGOs have participated on a large scale. People also contributed financially. Today’s event [the May 31 culmination event at Dhandhuka] was sponsored by the people, not by the government. Rs 6 crore was spent. Sujalam Sufalam is aimed at the future. What about the current water crisis? In January, the Congress raised a ruckus, saying there’s no water in the Narmada and that the quality of water being supplied is bad. Congress leaders even alleged that water had been wasted during elections. All this is wrong. This year, there has been less rainfall in the Narmada catchment area in Madhya Pradesh. After every monsoon, the Narmada Control Authority, which has representatives from four states (MP, Gujarat, Maharashtra and Rajasthan), reviews water levels in the river before water is distributed to the four states. Madhya Pradesh’s quota is usually 18 million acre-feet, reduced now to 9 million acre-feet. The same has happened with Maharashtra and Rajasthan. Gujarat’s quota of 9 million acre-feet, too has been reduced to about half, that is, 4.7 million acre-feet. The other thing is that, despite this reduced quota, farmers have continued to receive water for irrigation without even a one percent reduction in supply. Water was supplied during winter too. Besides, we provided them drinking water. Till March 15, there was no reduction in water supply. After March 15, we stopped supplying water, as stipulated in the Narmada agreement: we don’t supply water during summer. In Gujarat, 93 percent of the agricultural production is from two crops, monsoon and winter. Only seven percent is from a summer crop: it’s only for this seven percent that we have stopped water supply from the Narmada canal network, using it instead for drinking water supply. In January, I had said there would be no drinking water crisis till July 31. We have done detailed, village-level planning and villages have all been provided water. It’s already June, and we are close to that date without any reduction in water supply. The so-called ‘water crisis’ has been handled well through careful planning. It is said that the BJP won state elections through ‘water politics’. We did not work for any political gain. We worked for the benefit of Gujarat. The BJP has the will power to turn any calamity into an opportunity. We worked hard, keeping in mind that future generations of Gujarat should not face a water crisis. Since independence there had been so much deposition of silt in the Shingoda dam in Gir National Park and Sanctuary that the dam which had 1,200 million cubic feet capacity was able to store only 700 million cubic feet. We had it desilted and it is now able to hold 1,000 million cubic feet. Gujarat has been reeling under water crisis. Are there any efforts for water conservation? Reuse, recharging and recycling will be done to save every drop of water. Like the PM says, “Per drop, more crop.” Pani parameshwar ka prasad hai (water is God’s gift) and it should be used judiciously. We will continue this abhiyan for three years, that is, two more years. Construction is lowering the water table. Is there a way to stop that? Not in the cities. In rural areas, there’s some scope. In the Saurashtra region, you don’t get water unless you dig 400 feet. We have to rely more on surface water. Gujarat leads in this. The Narmada canal network and 1.5 lakh kms of pipeline are helping in this.